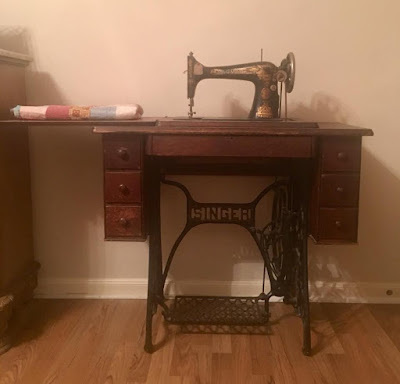 My Charmed Cabin Life: My First Treadle Singer! Yesterday while searching online for solutions to my sewing space here at the cabin, I found an amazing post. 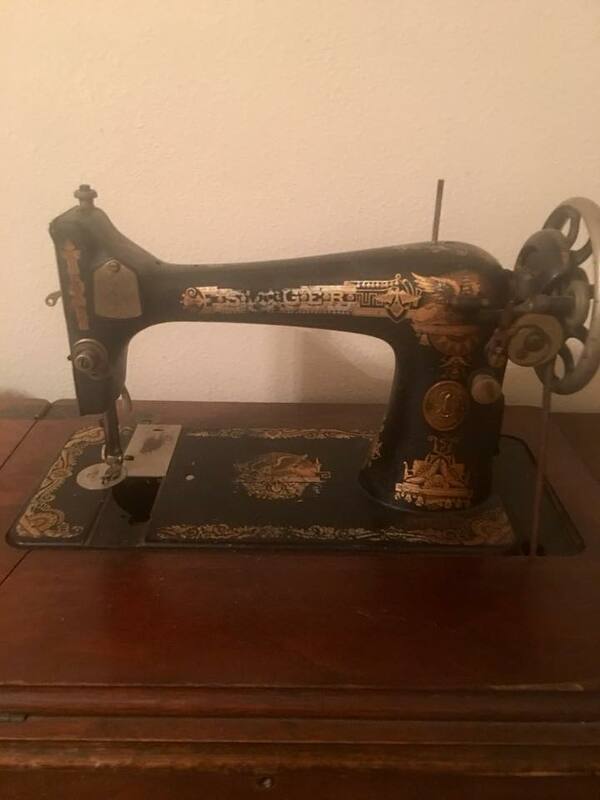 A Singer 127 was posted for sale...with the treadle tabletop...with 6 drawers...and it still works! Now I'm all about a good deal, but this was a GREAT deal! I couldn't believe it. The seller only wanted $100 for it. The table had the sewing feet in the drawers with it and all the extras and tools this Singer needs to be worked on. So what did I do? Naturally, I drove the hour and a half to go look at it. And shortly after - I drove back home with her! I'll try to post more pictures of her once I get her settled in. These pictures are from the actual Facebook listing. If you haven't looked, check your Facebook Marketplace for some great sewing deals. Most people don't seem to know what a great treasure they have and only ask what it's partially worth.